While “thanks” has a nice ring to it, words just don’t carry the gravity of actions. If you’re in the customer service business—and every business is, in some capacity—you should strive to continually show your gratitude to customers in fun and memorable ways. This resource features 25 outstanding ways to show your appreciation to customers. You’ll notice common threads that run through each idea. Every attempt at giving thanks must be relevant and personalized, noticeable and sincere. These simple requirements will ensure your show of gratitude hits home with customers. Show customers your thankfulness today by acting on one (or more!) of these 25 ideas. Go old school and handwrite a note to thank your customers. It’s surprising how rarely this proven way of showing gratitude is actually used. Can you remember the last time you received a handwritten thank you card? Your note should be specific and personal. Write fewer notes if you need to, but maximize the impact. The extra time is worth it! You’ll make your customer’s day—everyone loves receiving real mail! TIPCheck out the perfect guide for this task, “How to Write a Killer Thank-You Note.” To get started, visit one of our favorite stationary makers: Pinhole Press. For something a little more pro-fessional, Crane & Co. makes great custom stationary as well. Let’s say you own a coffee shop. How cool would it be to hold regular events where you bring in experts to talk about coffee and do free tastings? The more educated your customers become, the more they will appreciate coffee, thus the more valuable they are to your business. Run an online business? You can use your blog, webinars, whitepapers and free coaching to help people make the most of your product or service. Spring for it, throw rational thought out the window and WOW one customer. Stories of amazing customer service overtures fill the air—it’s time to let your company be the story of the day. Give a customer service experience so delightfully over-the-top that one lucky customer will have a great story to tell. If you’re creative enough, that customer’s family, friends, and social media acquaintances will be retelling the story for days and weeks to come. TIPFor inspiration, check out 10 Stories of Unforgettable Customer Service. There’s no need to break the bank with a lavish gift to thank a customer. Maybe your time is more valuable. Schedule a lunch at your customer’s office, order in for anyone that will join you, then sit and listen. Go out of your way to meet people on the front lines and hear about what they do every day. This could be a critical learning experience for your business. Knowing your customer’s pain points can help you improve your product or service. Some companies call this “customer development,” but it’s really just good old-fashioned customer service. Take a gander at the books that have been most influential to your company. Give one as a gift to customers. This gesture offers customers insight into your company culture and opens the lines of communication for future discussion about the book. Make sure to write a personalized note that goes with or inside the book so your customer knows this is a thank you meant just for them. TIPWhen your customers are businesses, this is an especially effective technique. For instance, at Help Scout we regularly give away our favorite books: The Thank You Economy,Anything You Want and How to Win Friends and Influence People. We do this not only to say “thanks,” but to explain the core values behind our product and company. Companies that embody these principles and philosophies get the most out of Help Scout. 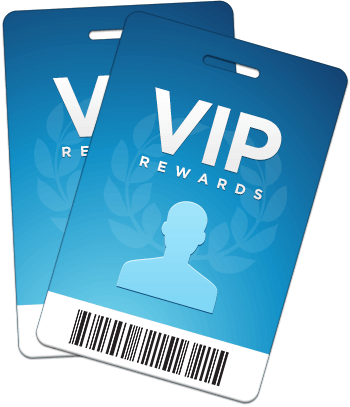 Invite your most loyal customers into a VIP rewards program. Customers love the red carpet treatment, which is why Amazon’s Prime membership or the Zappos VIP program is so popular. Your rewards program doesn’t have to be complex; it can be as simple as offering customers an annual discount on their anniversary. TIPTim Donnelly (@timdonnelly), contributor for Inc. Magazine, wrote a great article on how businesses can decide whether a customer rewards program is a good fit. Exclusive circles also exist in social media, like on Facebook, Twitter or Google+! You can reward your socially savvy customers with special announcements, exclusive promotions or just be available to help and answer questions. You can also create a system for earning and using social media loyalty rewards points. Customers could build loyalty points for contributing ideas to your Facebook page, checking in on Foursquare or providing positive feedback via Twitter. TIPStarting a new loyalty program is a golden opportunity to solicit feedback. What are your customers preferred ways of earning loyalty points via social media? Two that we like areAmbassador and OfferPop. If your customers are all over the country or even the world (like us!) it’s a special treat to meet up for a coffee date in their city. Every time you travel, look up customers that live in the area and offer to buy them a coffee. Since it’s their home turf, let them guide you to a favorite local spot. Going out of your way to check in with a customer and spend quality time while you’re on the road creates a lasting impression for both of you. Call out customers via Twitter to let them know how much they mean to you. The 140-character challenge: make it personal, be sincere and leave them smiling. Another way to profess your love: feature customers on your website. 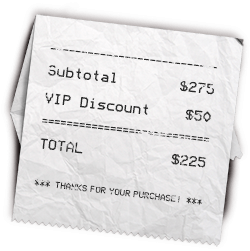 This makes customers feel valued and gives them a sense of pride in doing business with you. Cookies are a winning idea—liked by all and easy to share. But consider your audience: if your customer is a fitness guru, brighten their healthy day with a fruit bouquet instead. If you choose cookies, some of our favorite places to order from include Christie Cookies (they do custom tins), Cookie Crowd(great unique flavors). TIPHelp Scout lets you pull up every previous conversation you’ve had with a customer and automatically imports their public profile (Twitter updates, apress, etc.). Mine this information for hints on the perfect gift to send! Reach out to a select set of valued customers and let them know you’d like to make a contribution to their favorite charity in their honor. Or, get creative and give a memorable charitable gift. One clever company used Oxfam’s Unwrapped service to buy cows on behalf of their clients and named them after major projects they’d worked on. Now there’s an amusing and heartwarming way to connect with customers. The element of surprise is a powerful thing. Thank customers with a free, spontaneous upgrade. You can play database roulette and pick five customers at random, or make a list of your most loyal custom- ers and send the upgrade to the highest-ranking. Airlines were masterful at this practice decades ago with their frequent flyer programs, and it remains a great way to delight customers. Bonus byproducts: building customer loyalty and creating brand advocates. Throw a bash for all of your customers. Nikon did this with great success by adding a photo booth that anyone could use to the nighttime entertainment. Guests received their pictures instantaneously, and the pictures were branded with the company logo. Other great party ideas include a picnic, a wine tasting or a barbeque. Sponsor activities that encourage interaction and, most importantly, fun! TIPThink about what your company does best, and use it! Video production company Wistia does an amazing job at this with their Wistia at the Movies nights. If you have an actual store location, provide coffee, flowers, buttons, or some other small gift or treat for customers who come to the store. A favorite local grocery store always has complimentary coffee at the front of the store. This freebie lets the store showcase different types of coffee they carry; meanwhile, shoppers get the chance to try before they buy and have a warming cup of joe while slowly browsing the aisles. Choose what you distribute carefully so that it’s good for your customers and good for business. Lessen the chance your card gets overlooked in a mass of other cards by sending it to a customer on a unique holiday. You can call out Groundhog Day or even the customer’s half-birthday. Another idea: keep the card professional and fun by celebratingCustomer Service Week or a customer’s anniversary card with your company. TIPThe sky’s the limit with this one: Capitalize on the colorful (and odd!) holidays out there, such as International Towel Day or National Planking Day. Check out a listing of unique holidays here. B2B businesses should make every effort to say thanks by sending business to their customers. Look for opportunities to refer them to other clients or link them into your network. You can also thank them with web traffic; link to their business on your website, including enthusiastic comments and your own testi- monial, if applicable. TIPHelp Scout does a “Customers We Love” blog series. It’s been a great way to showcase our customers’ businesses and learn more about them—all while capturing a testimonial or two! Reach out to customers to tell them how you’ve implemented their suggestions. There is no better way to communicate with a customer than to show them you were listening. Let the conversation also be an opportunity to gather more feedback. You want customers to feel like they have an open line of communication to you at all times—whether that’s for praise, complaints or requests. Nothing says thanks for your business better than a friendly, informed service representative. It’s uncanny how thrilled customers are when a real human answers the phone and doesn’t read from a script. Same goes for email—personal and friendly replies (not purely canned ones!) let your customer service team’s personalities shine through. Send a note telling a customer you’ve taken $50 off their March bill as a way of showing appreciation for their loyal and continued service. If you own a brick-and-mortar store, take an extra 10% off your customer’s purchase at the point of sale, just to say thanks for their business. If your company has the resources to send gift cards, by all means do it. 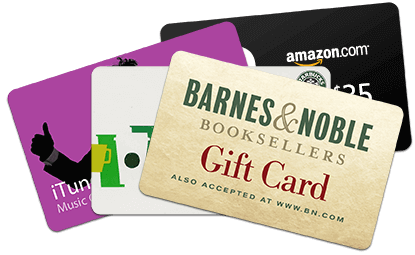 The card can be as small as a $5 Starbucks card or as generous as a $100 gift card to a restaurant that gets rave reviews. This is another great opportunity to use your database intelligence to give a gift that’s personalized to their tastes. If you’re a B2B business, partner up! Gift each others’ products or services to customers—a give-and-take that’s fruitful for both businesses. TIPAmazon.com has a Gift Cards for Business program where you can order in bulk or issue them electronically. Same goes for Starbucks cards. Make your customer feel like they’re part of a big family. Recognize special events in their lives by sending a small gift, such as flowers or a plant. The event could be a major birthday, a promotion or even a new addition to the family. The thoughtful timing of your gift communicates volumes and is a gesture that won’t soon be forgotten. 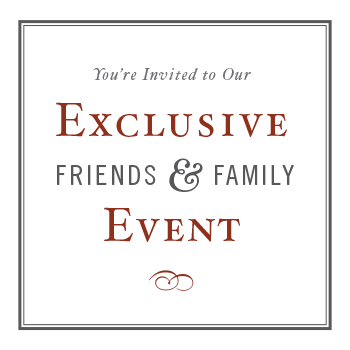 Give frequent customers that VIP feeling with an invitation-only after-hours event in your store. Let them shop for an extra few hours after normal store hours and provide drinks and snacks. To create an even more memorable setting, invite your favorite local singing talent to set up in a corner of the store and entertain your guests. They’ll be no doubt in these customers’ minds that they are valued by your business. TIPFor an extra-special evening, donate a percent of purchases from the event to charity. If your business is fortunate enough to have a creative mind on staff, have them step right up to make a funny and personalized gift. One idea: Photoshop your client into a famous movie poster, rename it something clever and email the picture with your note of “Thanks for your business!” If you’re a B2B business, even better! Your customer’s business team would look great starring in a Goodfellas or Star Wars poster. On the easy and affordable end of that spectrum, it’s always fun to send a message from SomeEcards.com. Branded gifts from companies used to be cringe-worthy throwaways. Those days are long gone. 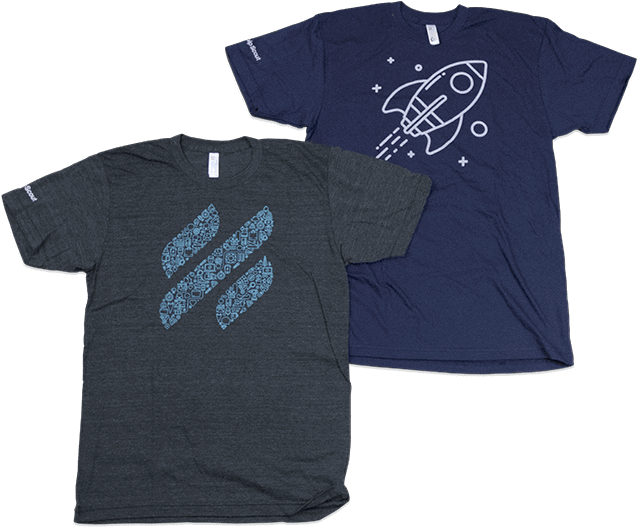 Print custom logo t-shirts that are so soft and good lookin’ that customers will wear through them and request another. Customers also like receiving usable items (such as coffee cups) or funny AND usable ones (such as koozies), so think outside the normal swag box on this one. TIPAt Help Scout we offer free “I love customers” schwag to people that like to tell the world!Reach out if you’d like a free sticker or t-shirt delivered to your door. Every company hits major mile- stones—and customers make those happen. These are opportunities to highlight happy customers, share their stories and give them a gift that delights them. The ideal example: Million Mile Joe. In 2011, Joe went out for a drive in his 1990 Honda Accord to celebrate the car hitting the million mile mark. When he got to the center of his small town he was met with a parade, congratulatory banner…and a new car! TIPNo one expects your business to gift a new car—keep it personal to your business! 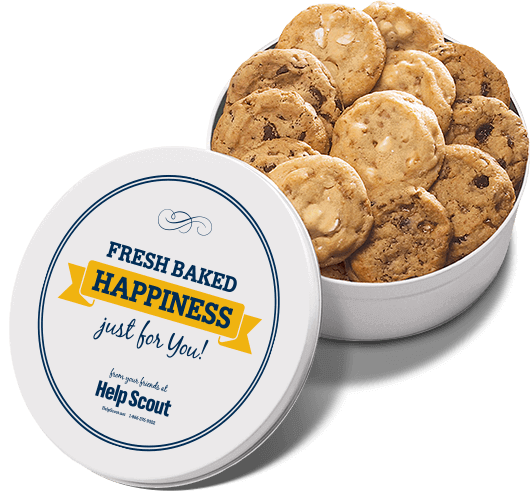 Help Scout regularly gives away free credits and accounts to customers that help us hit huge milestones. Without a happy team that loves customers on the front lines, your company wouldn’t have any customers to say thanks to. 1. Create a Friday Afternoon Club. A company we know treats their team to beer and sponsors ridiculous games every Friday at 4pm. Let employees mix, mingle and share great food while the CEO or senior staff does the serving. What a great way to show your appreciation! The time, effort and thoughtfulness of a handwritten card truly never gets old. Write a thank-you note listing each employee’s greatest accomplishments and the qualities you appreciate most about them. Once you have trained the people that work for you, trust them to love customers as you would. Give them the authority to make decisions and take ownership of their job and the customer experience.